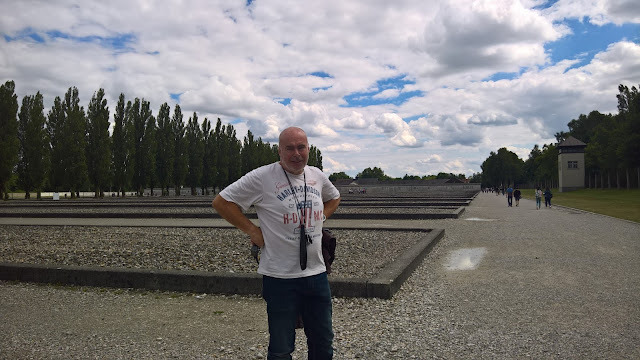 Today, Roma and I took the bike up to Dachau just outside Munich - we went to see the Concentration Camp Memorial. It was difficult enough to find, signposts were not obvious enough for me and I got lost. There were a lot of people there and it is a sombre place - everyone walking about in a subdued fashion respecting the dignity of the place. The chilling message "Arbeit Macht Frei" greets you at the entrance and from there it is horror depicted all the way. Over 30,000 people were murdered here, and even though it was not an extermination camp on the scale of Auschwitz - savagery of the cruellest order was committed here. 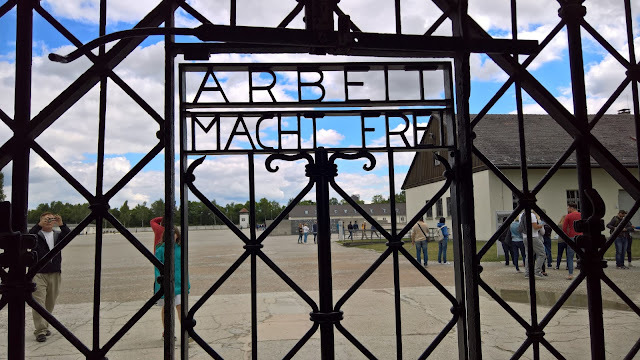 The museum tells the story of many people who were here, from the beginning when only Hitler's rivals were imprisoned to the liberation by the Americans. 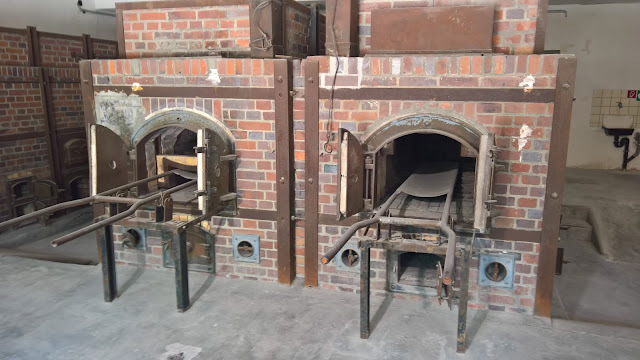 The crematorium was the most horrific part for me - I had never seen anything like this before. There was also the gas chambers (which reputedly were never used for mass killings) - scary to be even in the room. 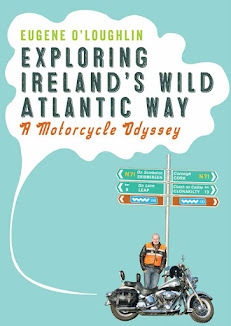 Following all this it is hard to be cheerful and get back into the holiday mode. We went into Dachau Old Town (Aldstadt) for a late lunch and went up to the nearby castle to get a great view over Munich. In the evening we were definitely cheered up by the CSD Street Festival where lots of LGBT folks were celebrating Pride. Roma and I joined in and loved the style plus the young people's ability to share their pride in an open positive way. Horrific to think that Hitler would have ordered all these young people to be gassed.